After almost two months of delays and a launch pad switch, SpaceX is finally ready to launch the classified Zuma spacecraft for Northrop Grumman and a shadowy U.S. government organization that has yet to be named. 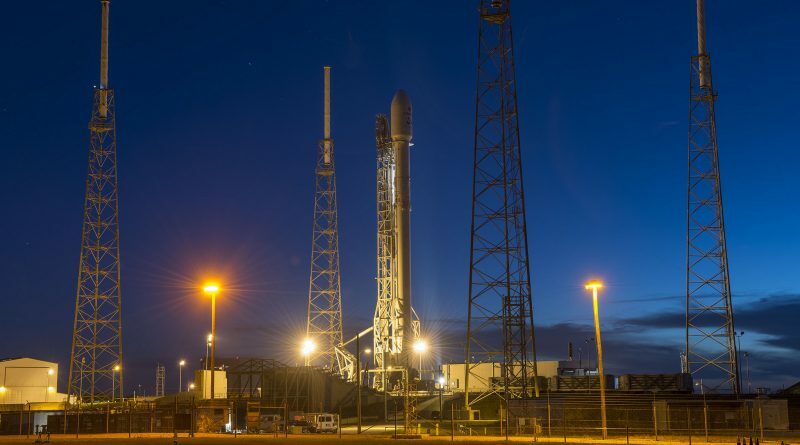 Gearing up for its year-opening launch, the Falcon 9 rocket is targeting liftoff from Cape Canaveral’s Space Launch Complex 40 during a two hour window opening at 1 UTC on Monday, 8 p.m. local time on Sunday. Even before taking flight, Zuma has been a enigmatic mission on many counts – showing up on the SpaceX launch schedule with barely a month’s notice and remaining completely shrouded in secrecy during a multi-week launch delay. Zuma is the most secretive U.S. space mission in recent memory, coming with only a few bits of public information. It was revealed that Zuma was procured by an unnamed U.S. government agency from Northrop Grumman in a delivery-in-orbit-style contract that has the prime contractor handle everything from satellite development, manufacture, launch and commissioning before turning a fully functional asset over to its operator. The launch azimuth – revealed through public Notices to Airmen and Mariners – shows Zuma is headed into a Low Earth Orbit at an inclination of around 50 degrees. 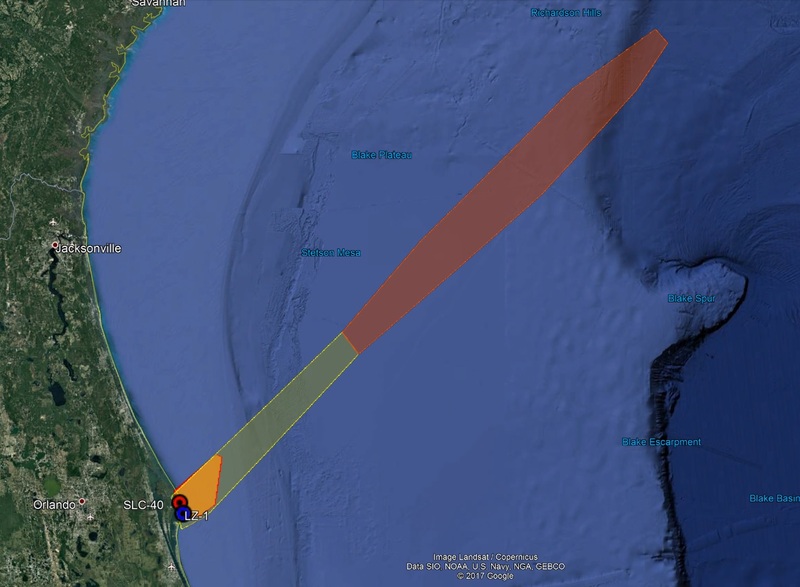 Analysis of the identified impact area of the Falcon 9 second stage shows Zuma is probably targeting an orbital altitude of 300 to 500 Kilometers, though a three-burn mission into a 1,000-Kilometer orbit also fits these constraints. 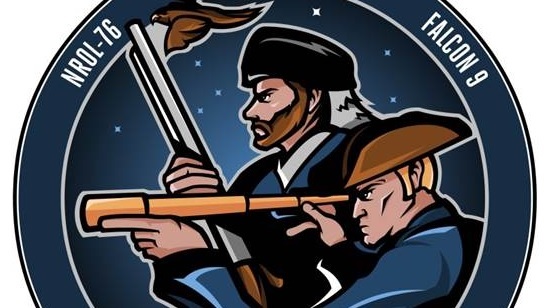 In terms of secrecy, Zuma is reminiscent of the PAN and CLIO missions of 2009 and 2014 that were revealed in Snowden Documents to be electronic intelligence satellites under tasking by the NSA and CIA to provide “a site in the sky” to vacuum up entire uplinks to foreign communications satellites that could not be accessed otherwise. Looking at the mission design, Zuma bears more resemblance to the classified NROL-76 mission launching in May 2017, also atop a Falcon 9, and entering a 400-Kilometer, 50° orbit that took it within a few Kilometers of the International Space Station two weeks after launch. With Zuma heading into the same general neighborhood as NROL-76 and the Air Force’s classified X-37B also flying in a higher-inclined orbit than its predecessors, an interesting case appears to be emerging with several classified missions conducting business in Low Earth Orbit. Whether any relation exists between NROL-76, the X-37B and Zuma remains to be seen as a worldwide community of satellite trackers stands at the ready to monitor their activity over the coming weeks and months. Getting Zuma off the launch pad has proven difficult for SpaceX, initially aiming for launch on November 15 as the mission took priority on the company’s launch manifest after Northrop Grumman communicated to SpaceX the company needed the satellite in orbit by November 30 to meet critical revenue targets. Falcon 9 completed its Static Fire test on November 11 and was integrated with the classified payload over the following days before returning to the launch pad. 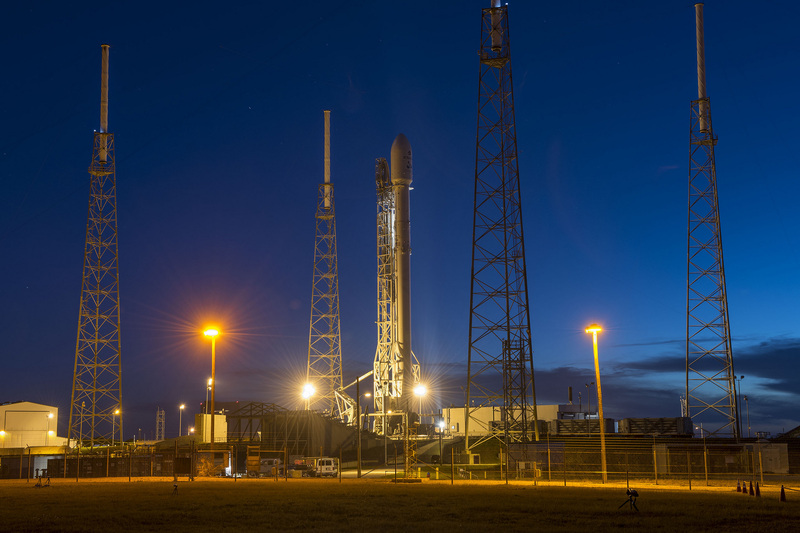 A one-day delay to November 16 was called when Falcon 9 was already standing at Launch Complex 39A and photographers had been allowed to set up remote cameras. Liftoff was then put off indefinitely as SpaceX “decided to stand down and take a closer look at data from recent fairing testing for another customer.” Falcon 9 then returned to the Horizontal Integration Facility and, by November 22, had been taken off the Transporter, Erector, Launcher – indicating a longer delay was to be expected. The 13-meter tall payload fairing containing the Zuma spacecraft and hiding it from public view departed LC-39A on November 22 with launch being postponed to January 4, 2018. Falcon 9 was transferred from the LC-39A HIF to the pad-side hangar at Space Launch Complex 40 on December 15 – switching launch pads after SLC-40 returned to full service with the successful launch of SpaceX’s 13th operational Dragon mission. The two-stage rocket was placed onto SLC-40 on January 2nd and went through a Wet Dress Rehearsal – completing a full tanking sequence and remaining loaded for some time according to local observations. Another such test was completed on the 4th when liftoff had already slipped to Saturday night. Unfavorable upper level winds were given as the reason behind the day-to-day slips and launch eventually settled for Sunday night with a window of 1 to 3 UTC. Whether the additional tests conducted atop SLC-40 were for the new pad systems or part of SpaceX’s due diligence ahead of a high-profile launch has not been revealed. 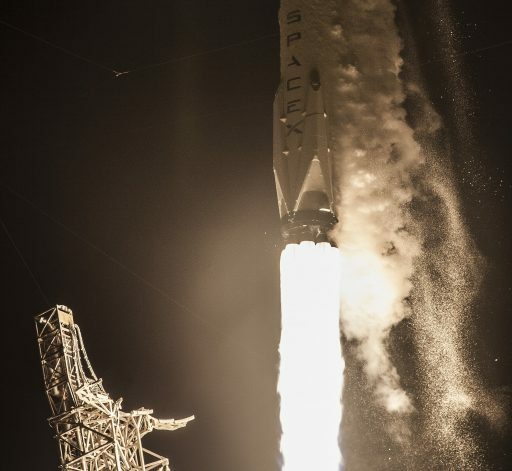 It is however clear that this mission is treated slightly differently than SpaceX’s previous launches – apparently up to the highest level as there are unconfirmed reports of SpaceX CEO Elon Musk informing his workforce to be vigilant of any inklings of issues since Zuma was the most valuable satellite they had ever handled. 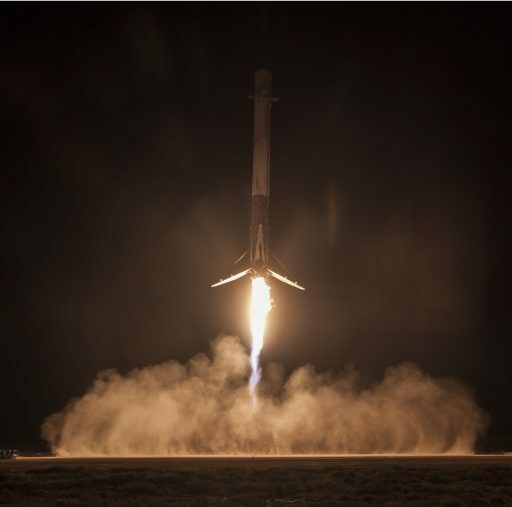 Falcon 9 returned to SLC-40 Saturday night as SpaceX pushes into the final leg of a lengthy launch campaign. 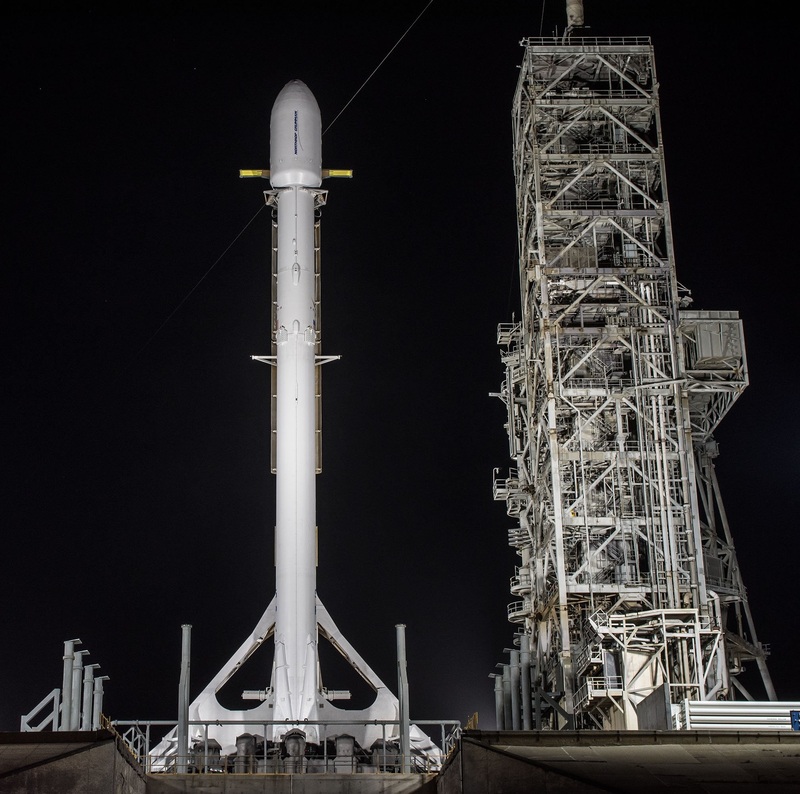 Depending on where T-0 will be set within the two-hour launch period, Falcon 9 will enter propellant loading as early at 23:50 UTC on Sunday after going through detailed checkouts as part of its early countdown sequence. As computers take control, the two-stage vehicle will receive some 500 metric tons of sub-cooled Liquid Oxygen and chilled Rocket Propellant 1 with tanking closing out just two minutes before launch. Thundering into the night under the power of its nine Merlin 1D engines, Falcon 9 will align itself with the desired launch azimuth to the North East similar to SpaceX’s ISS launches as well as the NROL-76 mission of last year. Another interesting piece of information evident in SpaceX’s Press Kits for the planned Zuma launch in November and the re-aligned date of January 8 is a longer first stage burn. If launching in November, Zuma would have had a two-minute and 16-second first stage burn – the shortest-ever for Falcon 9. For Sunday night’s launch, the MECO time is given as T+140 seconds. One possible explanation is the change in season from November’s target launch date to the new January liftoff, coming with a significant drop in temperature and a denser lower atmosphere. This causes additional aerodynamic losses in the early ascent phase which may be compensated by extending the first stage burn. Another potential reason for the higher performance need may be found in additional plane change maneuvers required from the second stage to reach the target orbit vs. the optimized launch period in November (assuming ‘revenue targets’ were used as a disguise for the actual factors dictating the Nov. 15 to 30 launch period). Regardless, the fairly short first stage burn time for Zuma is a strong indication of the satellite being of low mass (compared to other Falcon 9 payloads), requiring a low-altitude orbit or a combination of the two. Stage separation three seconds after MECO will be followed at T+2 minutes and 24 seconds by ignition of the MVac engine on the second stage to push the secretive payload into orbit. Payload fairing jettison three minutes and eight seconds into flight will be the last ascent milestone to be confirmed. Per the given trajectory, the Falcon 9 second stage will continue north east across the Atlantic, arriving in orbit before passing over Europe and potentially entering daylight over the Arabian Peninsula. In case of a single-burn ascent, Zuma and the Falcon 9 second stage would already be going their separate ways; a two-burn profile into an orbit over 600 Kilometers in altitude would require circularization after half an orbit of coasting; and the unlikely scenario of a three-burn profile would see the second stage re-start 20 and 68 minutes after launch to reach a higher orbit of around 1,000 Kilometers. Re-Entry of the second stage will occur one and a half orbits after launch. Booster #1043 will initiate a rocket-powered U-turn at the point of stage separation, going through a boost-back and re-entry burn before firing up its center engine and deploying its landing legs toward a soft touchdown in Cape Canaveral’s Landing Zone 1, around nine Kilometers from where Falcon 9 launched. If successful, this would mark SpaceX’s ninth land-based recovery. 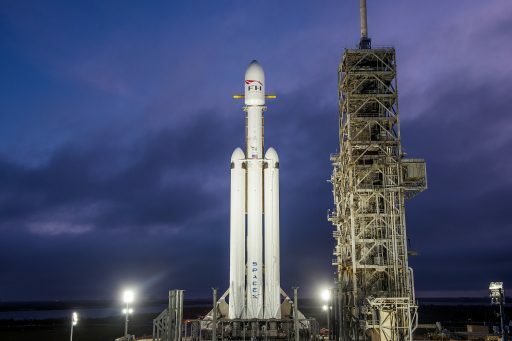 Falcon Heavy, SpaceX’s next major event after this mission, is contingent on Zuma getting off the launch pad to re-focus the team’s attention on the vehicle’s Wet Dress Rehearsal and Static Fire Testing coming up within days of Zuma’s launch. Liftoff has been pushed from a mid-January target to NET late January.